The last couple of days Valve has come out with a few announcements, such as Source 2, the Steam Link and of course the SteamVR HMD the HTC Vive. 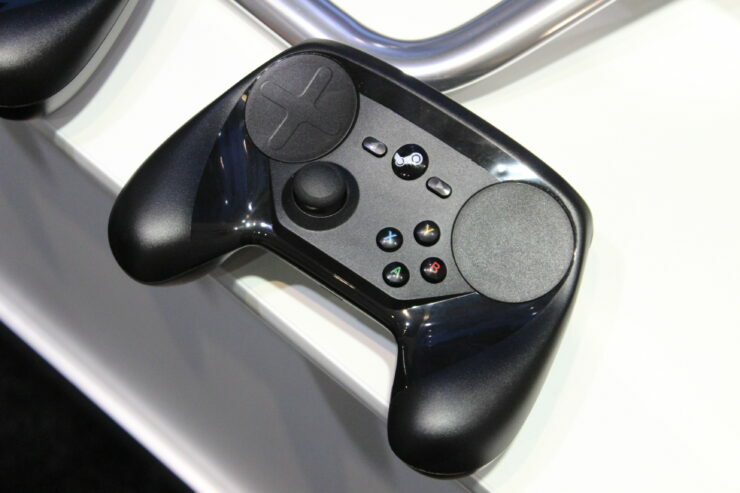 And now it was time for them to reveal the Final design for the Steam Controller. 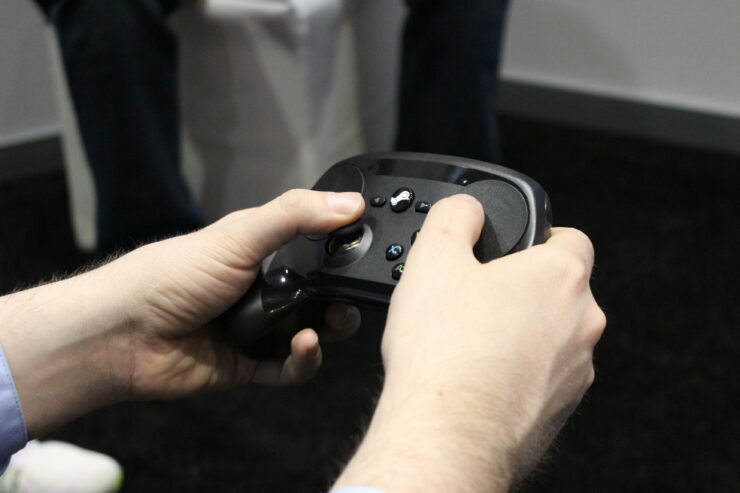 It’s not an easy task to try and take over the living room for PC-Gaming, but Valve’s solution to this is supposed to be the Steam Link, Steam Machines and the Steam Controller. 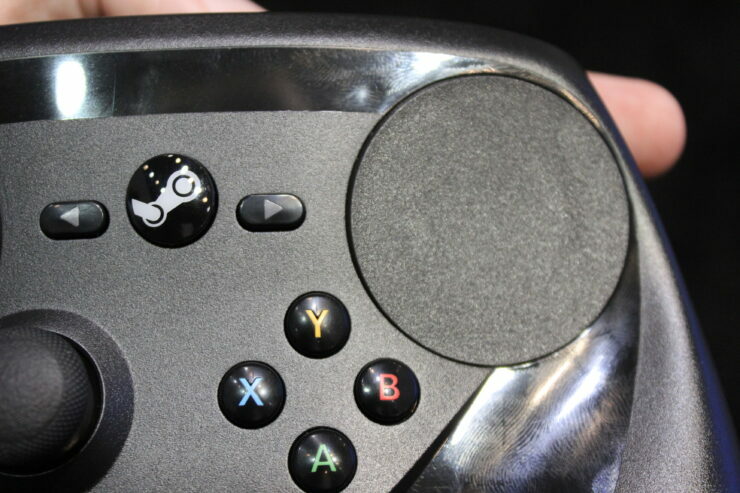 The final version of the Steam Controller has had quite a few revisions made in the past. 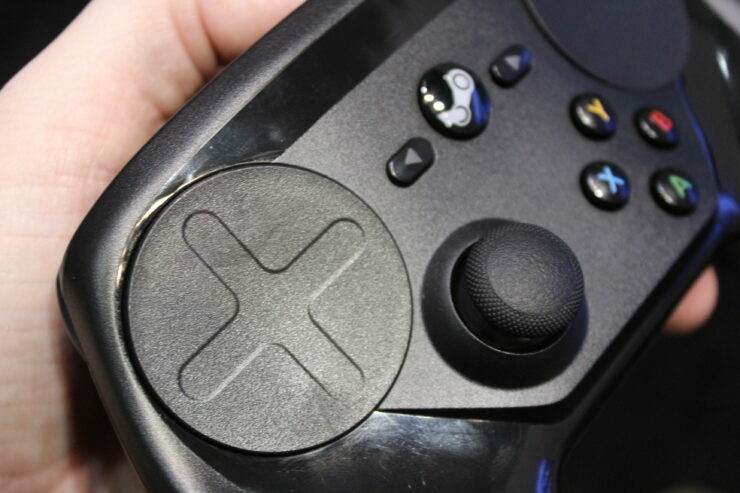 The Final version differs quite a bit from the first version that was revealed back in 2014 when Valve announced the controller during CES that year. 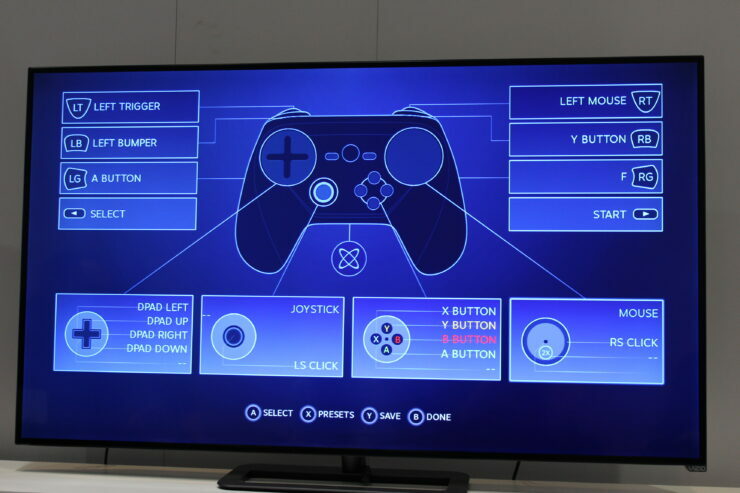 The middle touchpad has for example been replaced by normal buttons which now look quite similar to the old Xbox 360 controller design, as well as adding a single analog stick and the industry standard “ABXY” buttons. 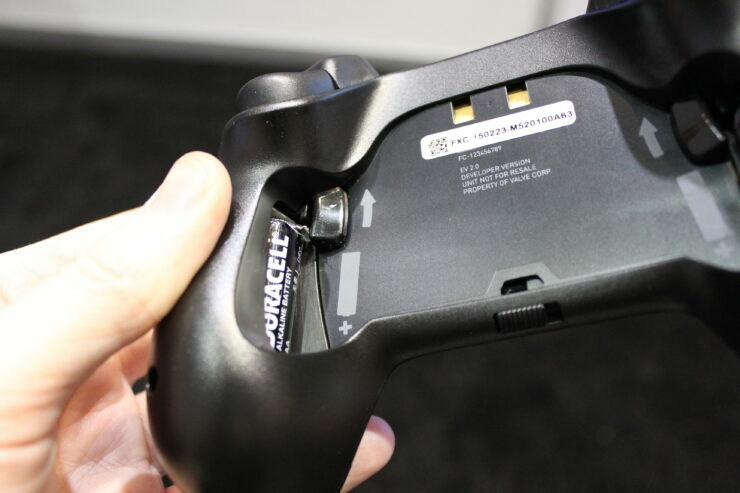 Whilst still keeping the two touchpads (the left one having a d-pad shape etched onto it) on the left and right side of the controller. I think that I’d also have a hard time using, or at least getting used to using, a touchpad with my thumb as a substitute for a mouse. Even more so when it comes to fast-paced FPS games, this does not mean that it’s a bad feature though, rather on the contrary it’s quite possibly a better way to aim compared to using a regular analog stick on a regular gamepad, it might just very well require some practice. 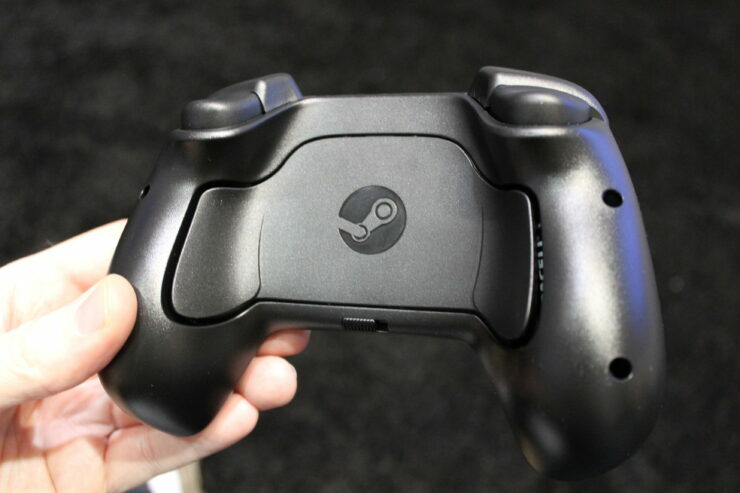 So far the Steam Controller looks and sounds very solid in my eyes,I might invest in one when it comes out later this year. 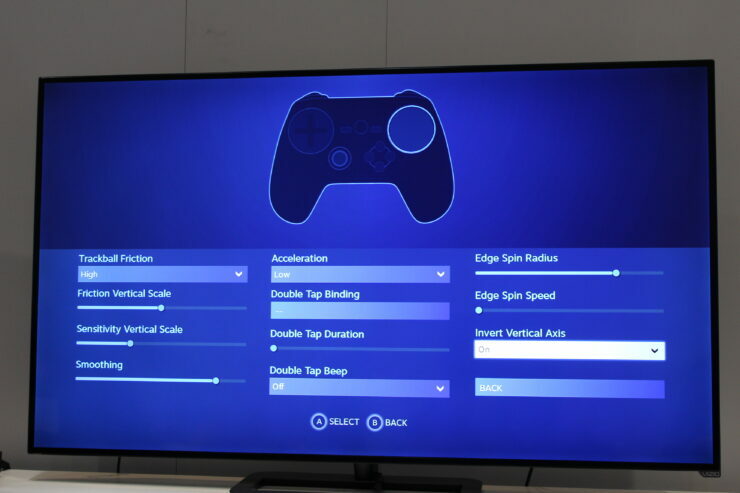 And if you are using the Controller in conjunction with SeamOS you will be able to re-bind most button inputs as well as some Sensitivity and “Trackball Friction” settings. 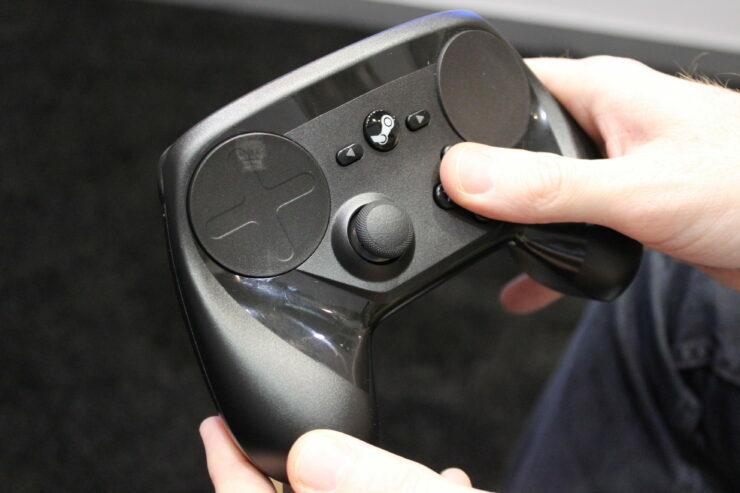 All in all the Final Version of the Steam Controller seems like it could be one of the better controllers on the market when it releases this November for 49.99$.